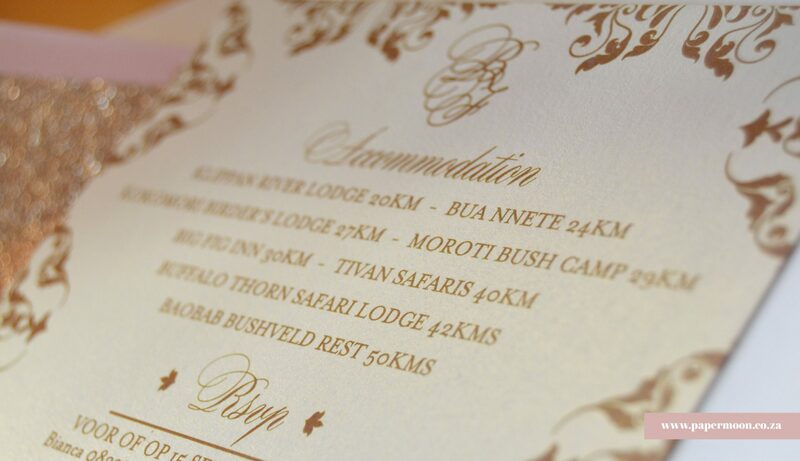 I have been waiting for the guests to receive their invitations for me to boast about this beautiful wedding invitation suite. 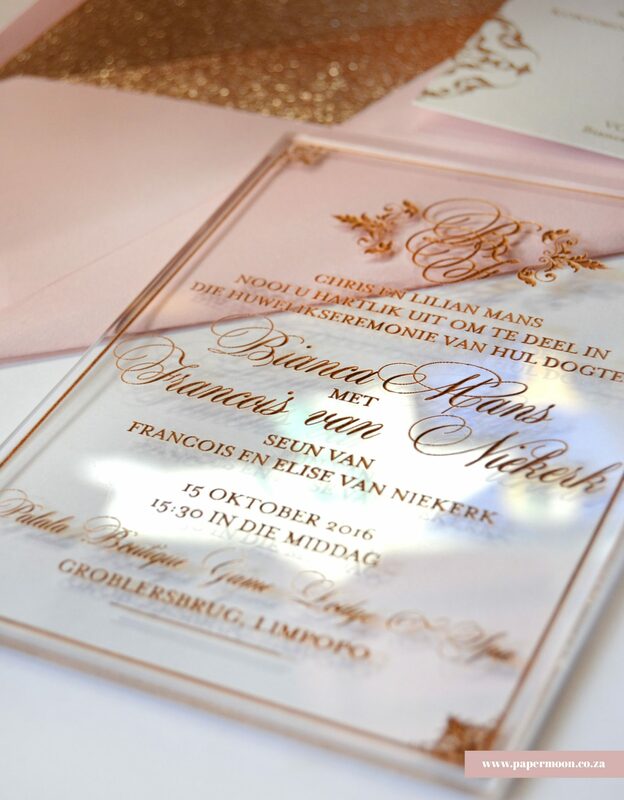 Bianca and Francois are set to be wed in the bushveld, but the decor and ambience of the venue is pure elegance. 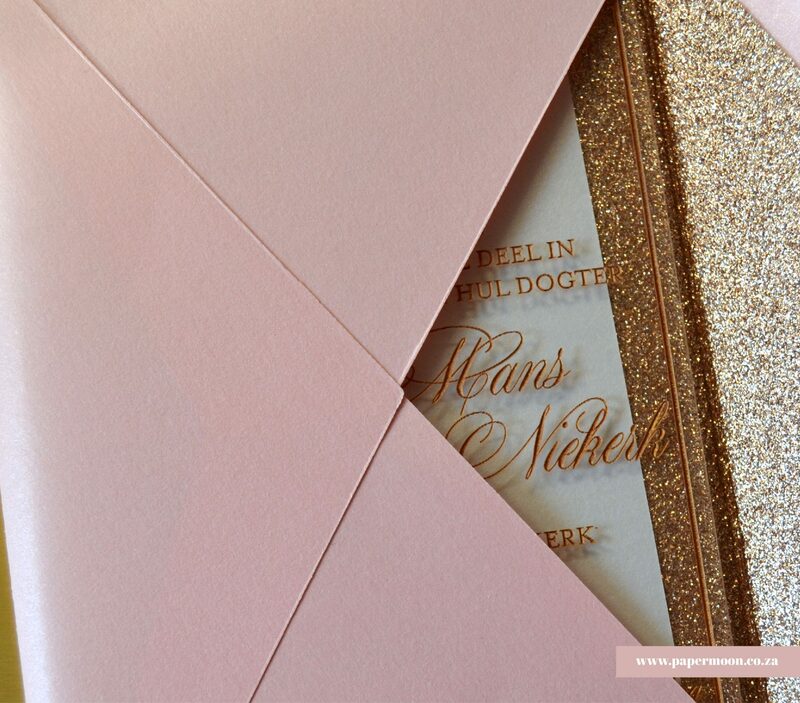 After choosing the right colours and pairing types, I am super happy with how these invitations came together.